Home/Fitness/Should I Train with Free Weights or Body Weight? Now that you are at Self Defense Fit Lab you have taken the first step down the road to a healthier you. You have committed yourself to at least an hour a day of getting a good sweat on. Maybe you are excited to work in other elements to help you down the path? The question may come up – should I train with free weights or body weight? Is that really a decision that needs to be made? Both free weight and body weight training fall under the category of strength training which is an important component of any fitness regimen. A little muscle can go a long way to boost your metabolism, strengthen your joints, heart and cardiovascular system, help prevent some diseases and just make you look and feel better. So if both free weight and body weight training work great for building strength then the question really is – how do I incorporate them into my workout? What exercises should I do? To answer that question you need to answer a few more questions about yourself. What are your goals? How much time do you have to devote towards reaching those goals? And which will you keep up with? With so many options now available without a gym membership let’s look at a few to see if they would be good additions for your road trip to a healthier you. Body Weight training can be done anytime, anywhere and at any level. Whether you are new to the fitness game or a veteran, you would be silly to not try and work in at least a few of these beneficial exercises. Since most body weight exercises build strength by teaching your muscles to move in a way they will need to in real life, body weight exercising in functional. And by not having any equipment get in your way you can easily move from one exercise to another quickly all while keeping your heart rate up. 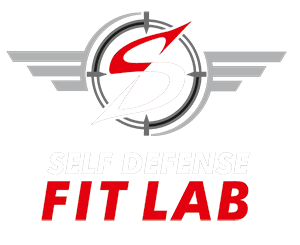 At Self Defense Fit Lab we already incorporate a few bodyweight exercises but never hurts to do a few more at home – no extra expenditures required. you will be happy with and stick to. Nobody knows you better then you. We just sometimes don’t take the time to listen to ourselves. You have already taken the first step @ Self Defense Fit Lab and you should be proud of yourselves for that. Now that your body is in motion, let’s keep it in motion. Just take some time, look at the options presented and see if there is anything that strikes up an interest and give it a try. Every little bit helps – You got this!!! !